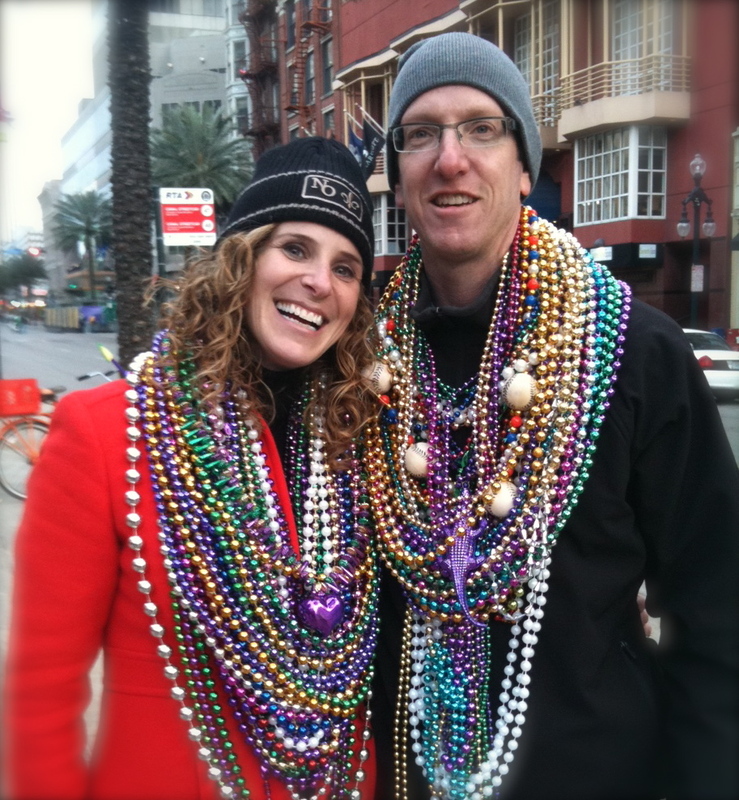 This entry was posted in Guest Writers, New Orleans and tagged @RASJacobson, interview, Mardi Gras, mardi gras beads, mynewfavoriteday, New Orleans. Bookmark the permalink. I might have to print out that picture and frame it. You should use it as the centerpiece for the bar mitzvah. Tech Support will LOVE it! Throwing you some big red beads. What a great pic! Looks like you guys got a ton of bead love! I’m closing comments here, so people will go over to Shannon’s. I’ll respond to your comments on anything over there. I’ll even toss you some beads with each response.